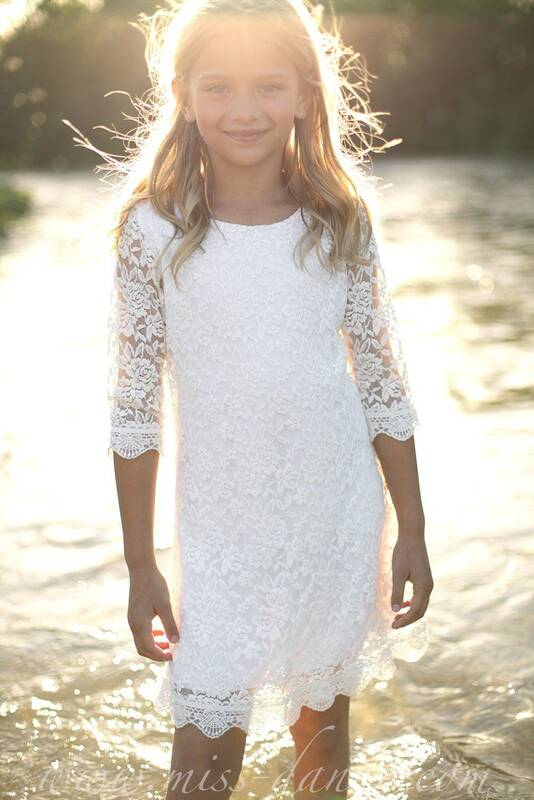 Flower girls are beyond adorable...And what's more fun than getting your little girl all dressed up for the big day? Go ahead! 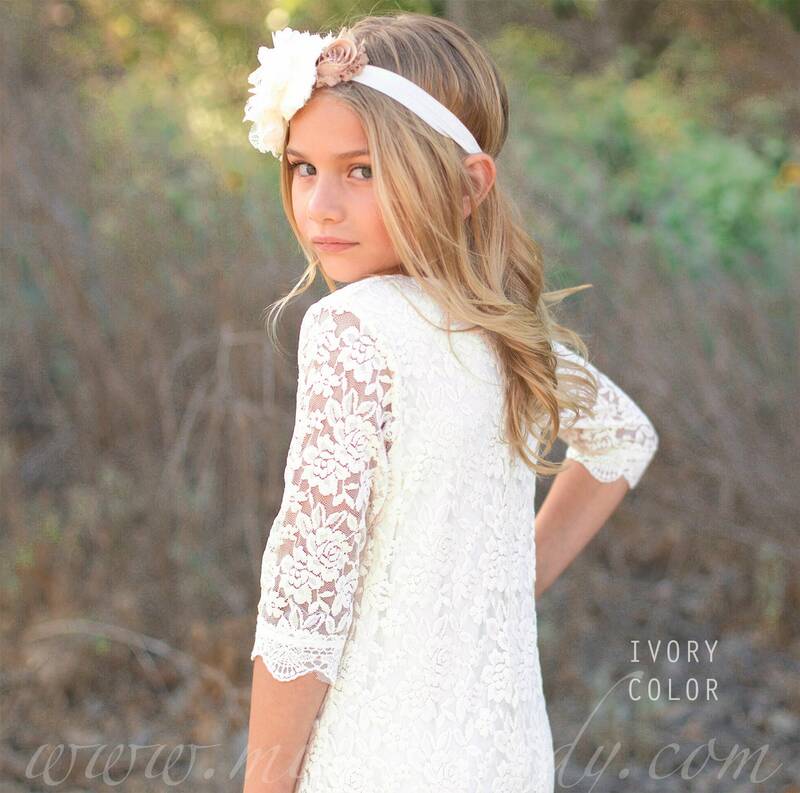 There are so many flower girl dresses, floral crowns, headbands, proposals, and accessories... please check my other items! 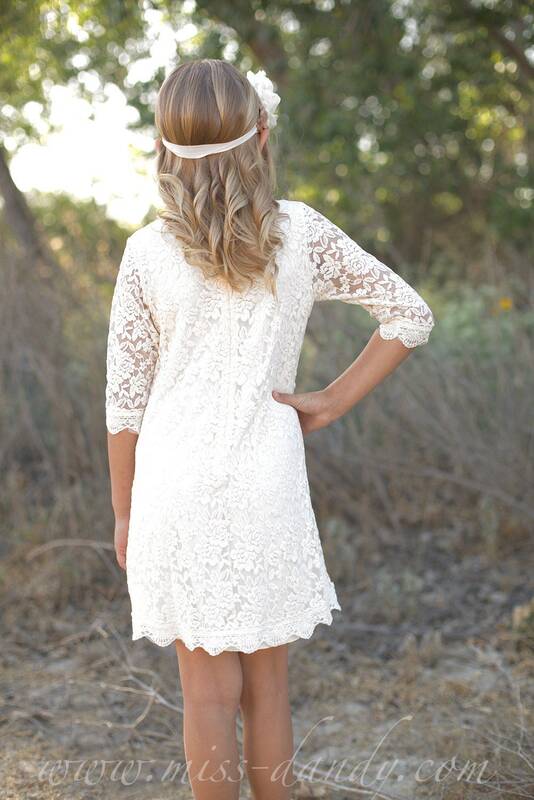 This simple & timeless dress is inspired by the vintage Bohemian style. 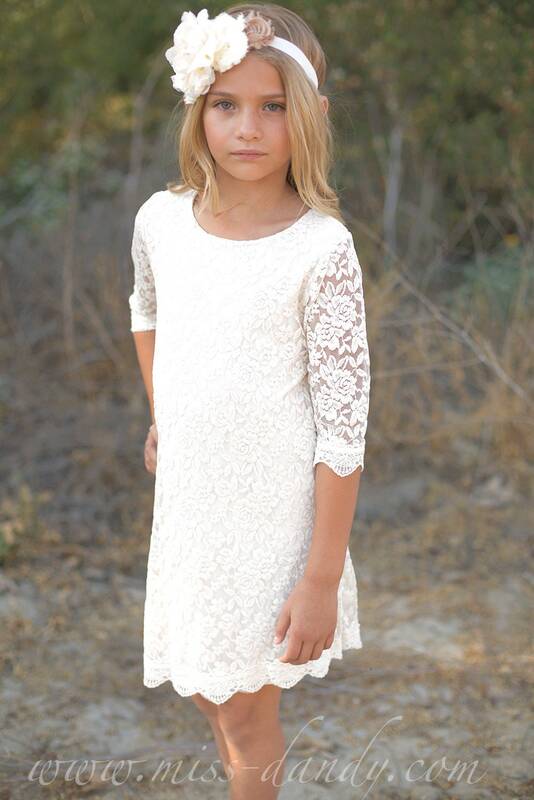 Charlotte knee length girl's dress features: white or ivory lace, 3/4 sleeves, scoop neckline and back zip closure. 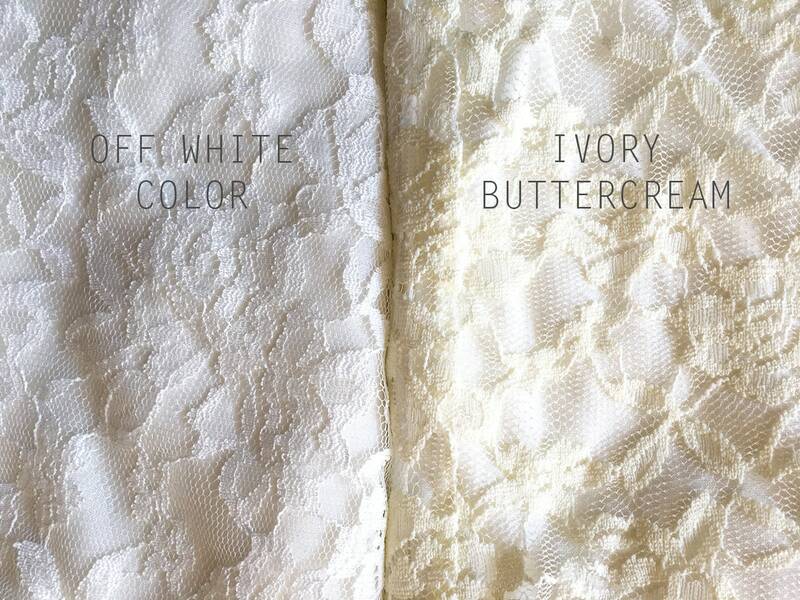 Dress is fully lined with soft cotton fabric. It is perfect for special events or weddings... would be perfect as a beach flower girl dress, boho flower girl dress or rustic flower girl dress for a country wedding... ideal for little bridesmaids. The length of the dress is ABOVE THE KNEE. It's a short dress.